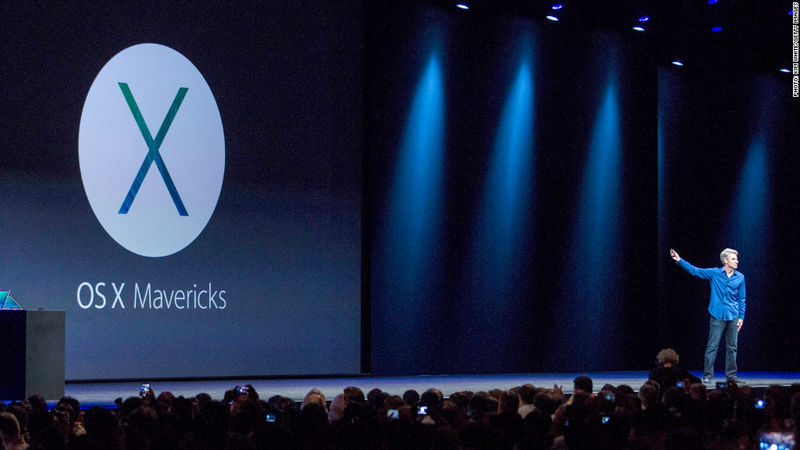 Apple's latest Macintosh operating system hasn't yet hit store shelves, but if the unveiling of OS X Mavericks was any indication, its improvements aren't exactly what you'd call thrilling. Mavericks' claims are workmanlike, but clearly beneficial. It's faster, has an improved notifications system and offers more flexibility over how you use a second monitor. It has a better browser and a better calendar app and an overhauled finder user interface. But even if these features end up as improvements, there's nothing that feels especially new. In fact, the main purpose of Mavericks seems to be fixing many of the things Apple (AAPL) got wrong with the last release, Mountain Lion. That has become par for the course over the past six years. Since the release of OS X Leopard in 2007, the biggest change to the Macintosh operating system has been a general effort to bring more of the iOS experience to OS X, including the cutting and pasting of iOS's Notification Center. For the most part, Apple's lack of bold moves with OS X hasn't been a problem, since OS X has continued to be an excellent operating system. But if Apple wants to innovate -- as it generally aspires to do -- what's left for the company when it comes to OS X? Will we ever again the see the introduction of a feature as crucial as, say, Time Machine? Merge with iOS: Tech nerds have long speculated and openly wished for the day that OS X would become one with Apple's mobile platform, iOS. Those fires were fueled by the introduction of iOS-esque features in the last two iterations of OS X. Like Microsoft (MSFT) is attempting with Windows 8, merging the two operating systems would not only create a sense of excitement and newness, but could let the combined platform cherry pick the best features from both and allow Apple to devote more of its energies to one environment. But it could also lead to a confused, inconsistent experience, as the young Windows 8 still sometimes lends itself to. And this might all be a moot point anyhow, since Apple CEO Tim Cook has long insisted that the two platforms will remain just that: two platforms. Update the user interface: Even if Apple doesn't make two operating systems into one, it could eventually give the next version of OS X (or OS 11, or whatever it may be called), a visual makeover. The need to update the look of OS X isn't as badly needed as it had been with iOS. But with the increase of apps and services coming from Apple, a refresh of the user interface could help unify all of those new features. Expand into iCloud: Google (GOOG) is quietly proving with its Chrome OS that an operating system built largely around cloud and Web services is a viable computing solution for the future. 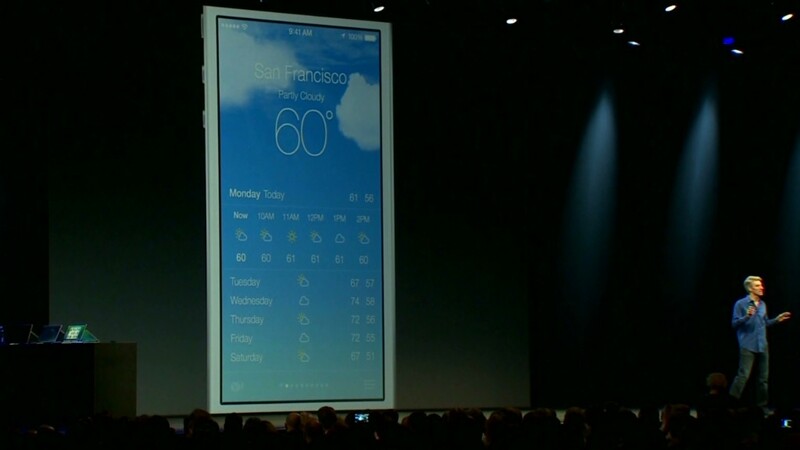 Apple has a cloud platform of its own in iCloud. But even with the announcement of new iCloud-centric features at its Worldwide Developers Conference earlier this month (including a password manager and iWork in the cloud), the technology remains flawed and underutilized. If Apple continues to put more of its core services in the cloud and give more developers the tools to integrate iCloud technology, OS X can become a more flexible operating system that's less dependent on any single device and better linked to its mobile counterpart. But for now, the only excitement surrounding the new OS X Mavericks will be to see if the new Maps app can actually route us to our favorite restaurants without landing us in the middle of a lake.